These notes are not exhaustive but are a preliminary guideline only. They interrelate with the accompanying notes: “General Guidance Notes For Notarial Appointments“. My current hourly rate is £210.00. My present minimum fee for a brief matter is normally £85.00. I reserve the right to vary the rate, particularly in respect of extremely urgent and/or onerous or unusual matters. Couriers’ and/or other transmission costs. Quite often, one appointment suffices, but fuller details emerging at the appointment may necessitate one or more further meeting(s), possibly the same day in cases of real urgency. There are a number which may affect the fee rate e.g. Work unavoidably undertaken out of office hours. Your personal attendance at my office is usually essential since my photocopying and typing facilities are available as required. I do visit organisations with photocopying and typing facilities. I also visit e.g. in cases of incapacity. Neverthless, this inevitably increases time and expense. This applies to all work undertaken from start to finish, including taking preliminary details and giving advice, preparing documents, attendances, drafting documents, phone calls, correspondence, faxing, legislation and final work including writing up the Notarial Register and Protocol. Urgency and/or expense must not override essential accuracy and validity. Other competent professional advisers, here or in the relevant country? Are you taking the potentially huge risk of relying on documents prepared by another party or its adviser(s), without yourself taking independent legal or other competent professional advice? 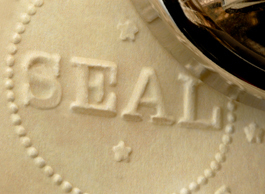 Do you want, expect or hope that the notary public will do this for you? Are you trying to save time and/or money by attempting to cut corners? Individual notaries do not write the rules but have to follow internationally recognised and acceptable procedures. Also, professional requirements in the U.K. have become more stringent and onerous through progressive assimilation of European notarial standards, and global developments affecting notarial practice. Anyone who has dealings with a Notary Public in the USA may be surprised at the different formalities and cost over here. The role and responsibility of the Notary Public in the United States is very different. Foreign & Commonwealth Office and/or Consular legalisation. Legalisation is the process by which the signature and seal of the notary are authenticated by the Foreign Office and the Foreign Embassy. A protocol copy of the notarised documentations is customarily kept. Frequently, a fully executed set of duplicate originals is required, or advisable, to be retained by the notary. Sometimes, the notary may retain the original and issue a certified copy.